I’ve gotten into the habit of walking during my lunch lately because, let’s face it, The People’s Court hasn’t been the same since Judge Wapner and Rusty left. That’s what I’d usually watch that after consuming my lunch but this week I’ve gotten fitness on the brain and can’t seem to sit still during lunch, so I had to do something about it. Through the magic of Google Earth I was able to determine that three laps around the parking lot equals a little over one mile. That’s not one hell of a lot when compared to what I used to do at my last job but when you combine that with my daily bike ride to work, it definitely helps. As he exited his Korean beer can, he saw me approaching. I noticed he had a bag in his hand and he was heading over to the trash to throw it away. Barney spoke up. “You ride your bike to work and go for a walk during lunch?” he said incredulously. While the fork-tongued lil’ demon inside of me wanted to unleash some very naughty words to my most favoritest person at work, I held my composure as I strolled by. “Yep, because nobody is going to do it for me,” I said with a smile, like a Cheshire cat that just swallowed a huge mouse–or like Garfield after a plate of lasagna. 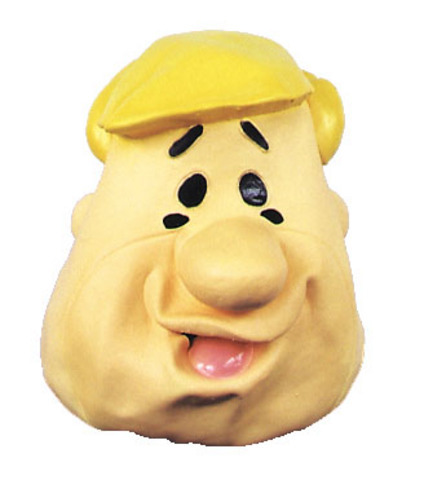 “I guess not,” said Barney as he chucked his crumpled-up McDonald’s bag into the dumpster and rolled his globular body past me. Two cars, one bike, not a lazy motherfarker like he is. Check and mate, Barney. Check-and-effing-mate. There are reasons why I always carry my camera with me to work. While my phone-cam definitely works in a pinch, there are times when I want to shoot something at a higher resolution than my phone is capable of. It is a phone after all. 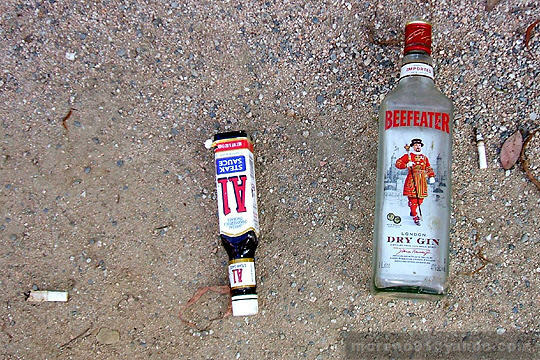 An empty bottle of Beefeater gin, A1 Steak Sauce, and a few cigarette butts. I saw this sign standing off the dirt path beneath the MTA Green Line’s Mariposa Ave. station during my daily walk. I tried to figure out what it meant or why it was even there, but I later chose not to read into its literal meaning and analyze the philosophical aspect instead: Can you still love?